The Micro is on Sale! | Special Value | NOW: $21,900! 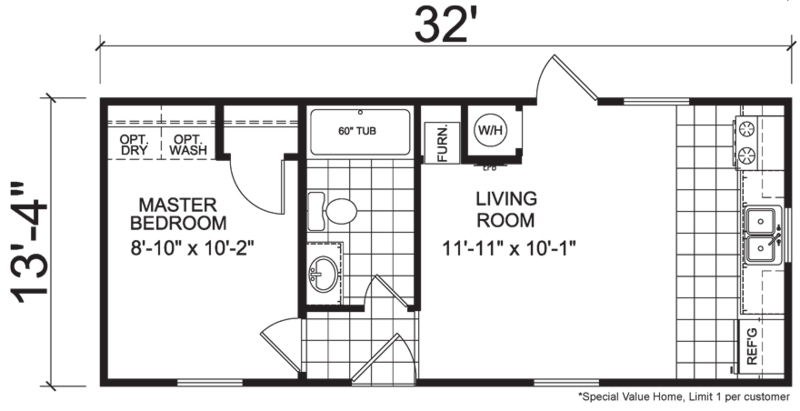 The Micro model has 1 Bed and 1 Bath. 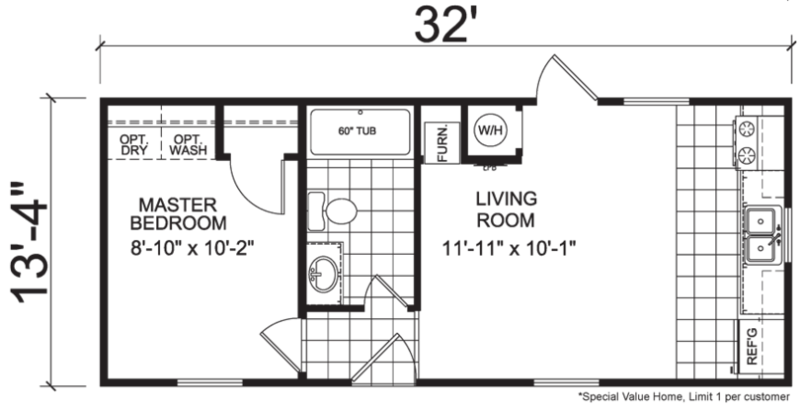 This 427 square foot Single Wide home is available for delivery in Virginia, North Carolina, South Carolina.